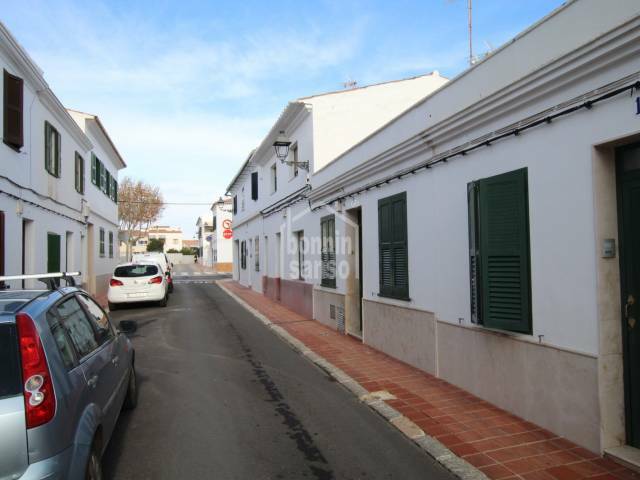 Traditional town house located close to the square plaza Nova and just 100 meters to the center where one can find all imaginable amenities. 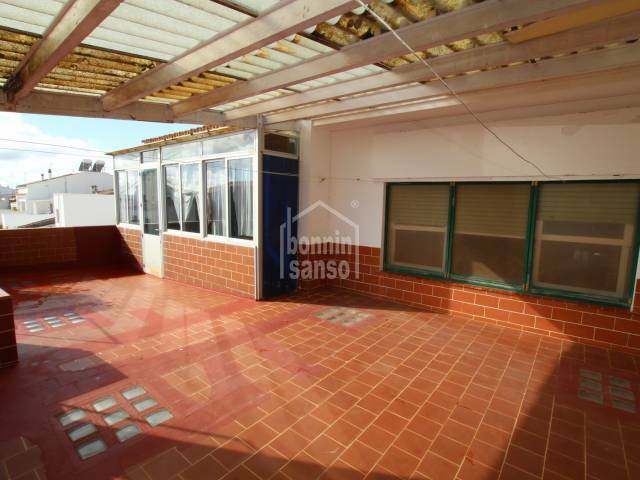 The property is divided into two units. 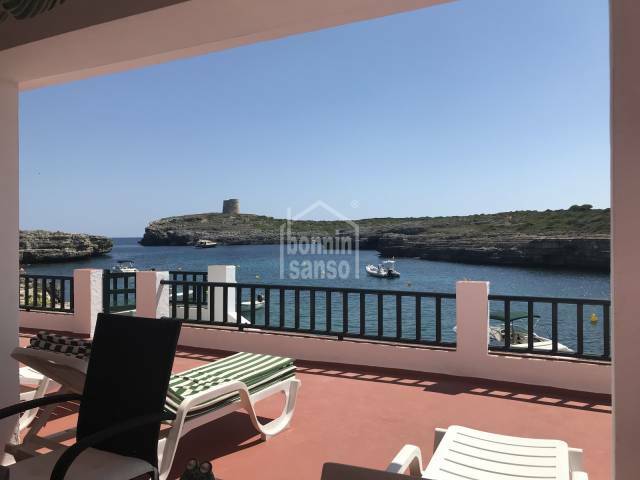 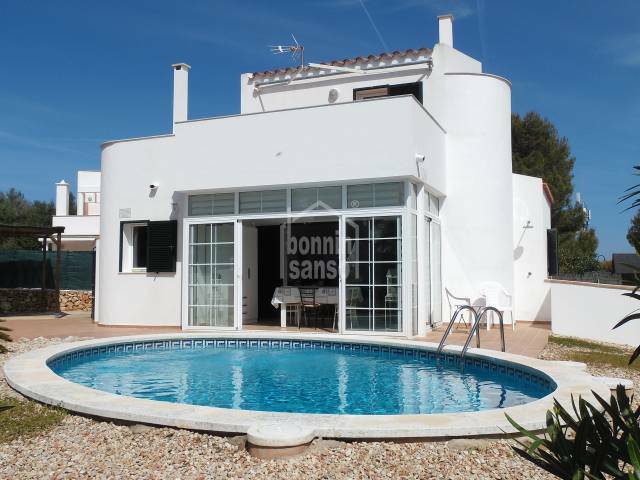 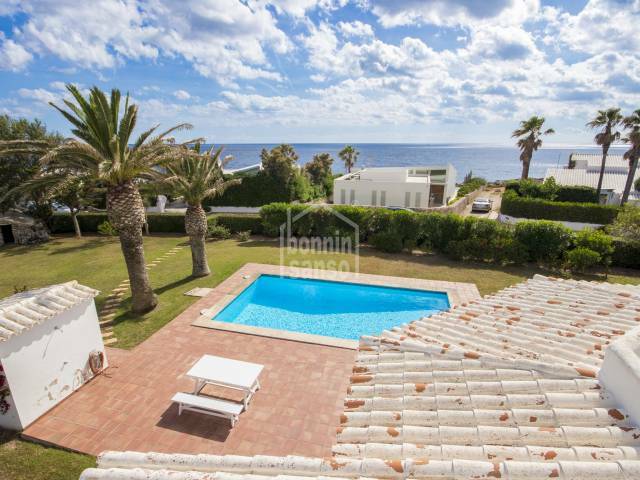 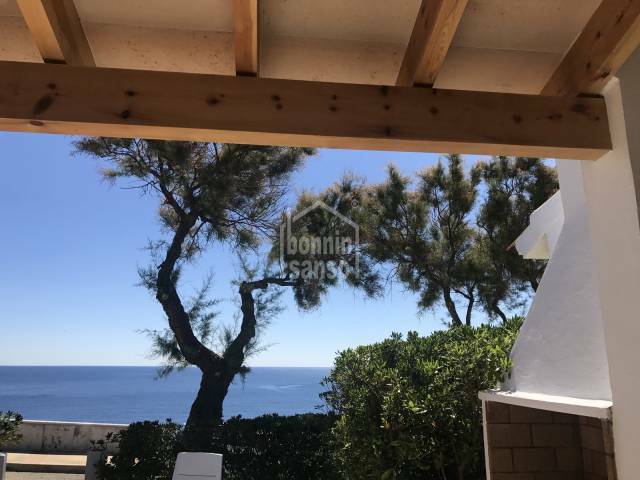 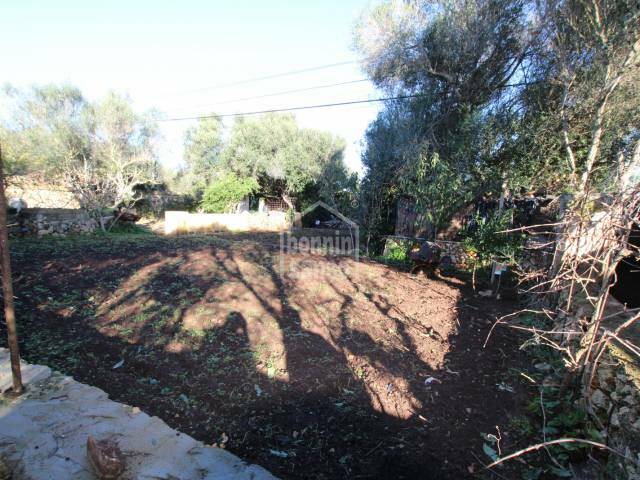 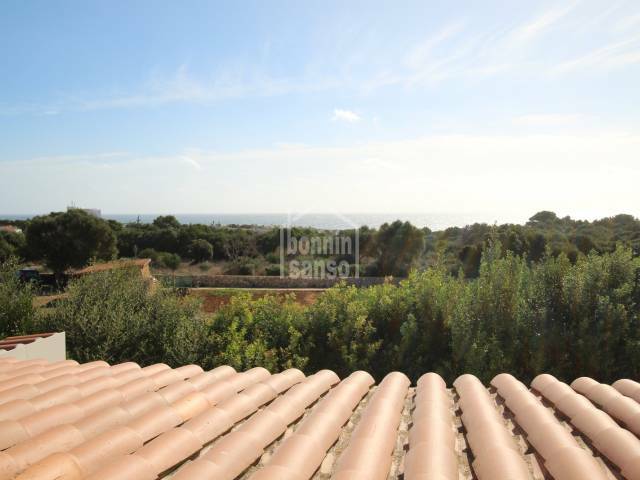 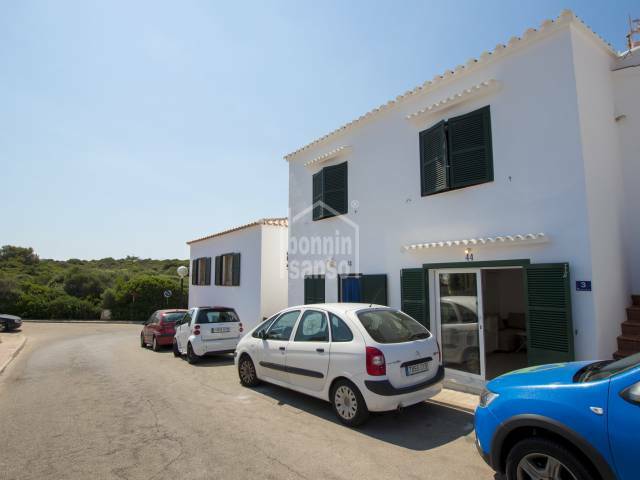 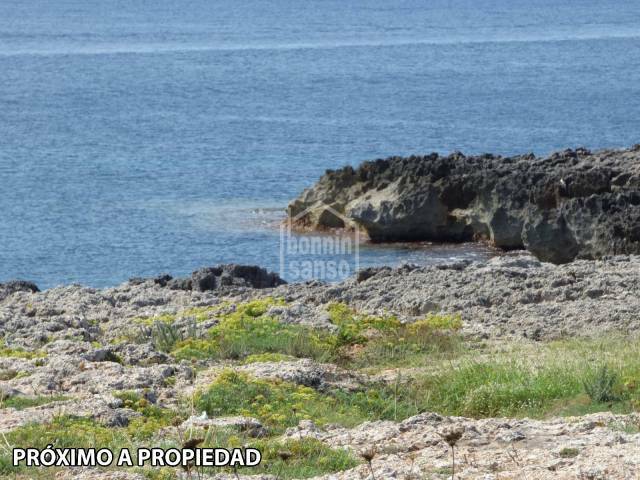 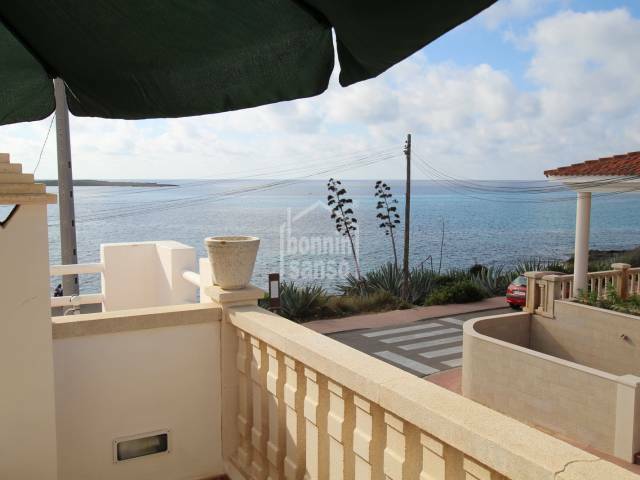 Modern villa of recent construction of approximately 150sqm located in elevated position just 10 minutes walk to the beach boasting superb country views and partial sea views. 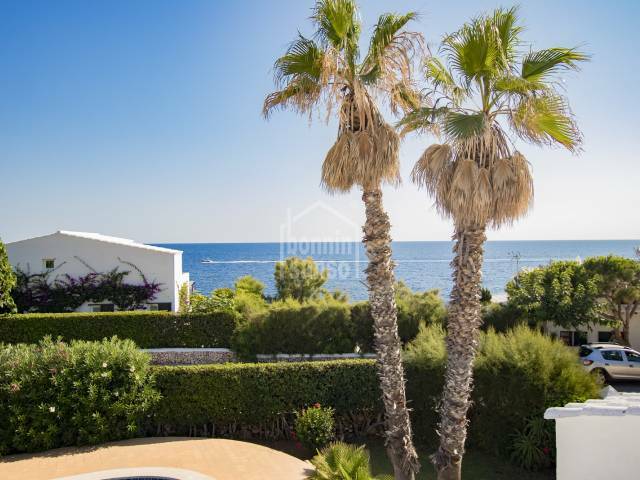 Villa bien entretenu de approximativement 306m2 sur de parcelle de 1.000m2 situé en primer ligne avec vue superbe sur la mer et l'embouchure du port de Mahon. 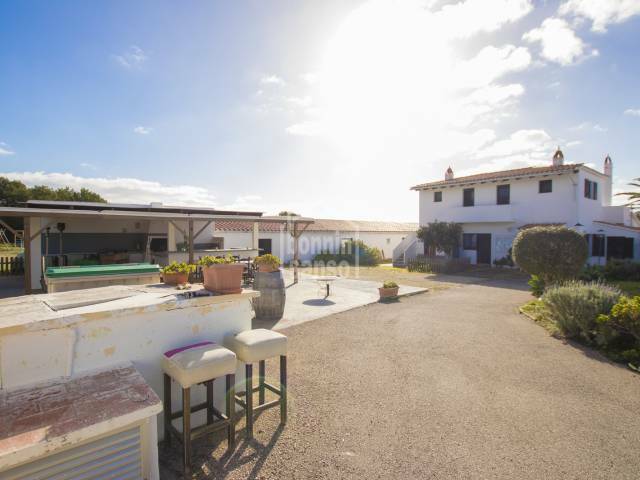 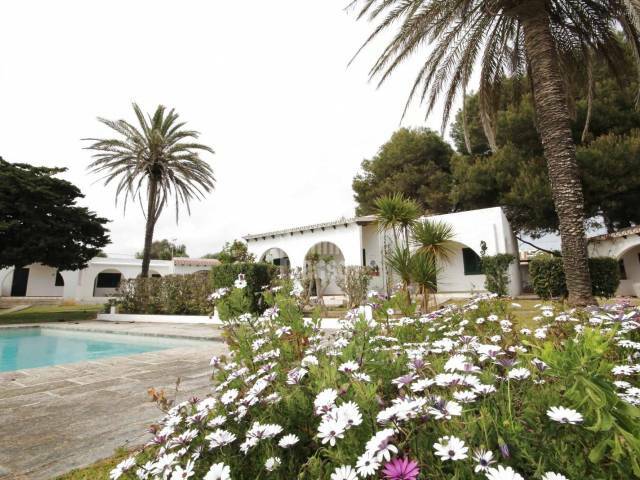 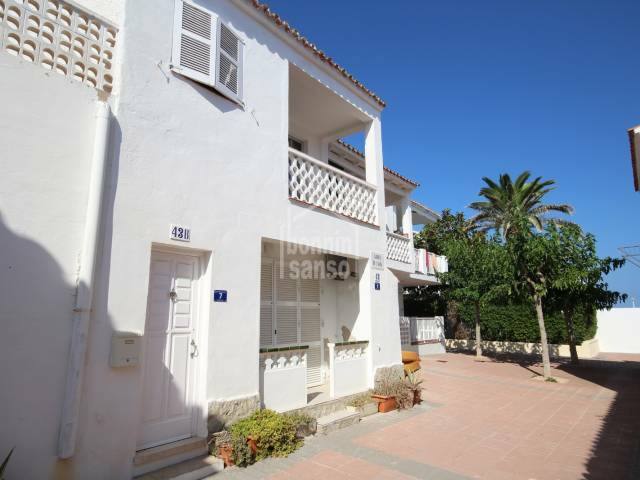 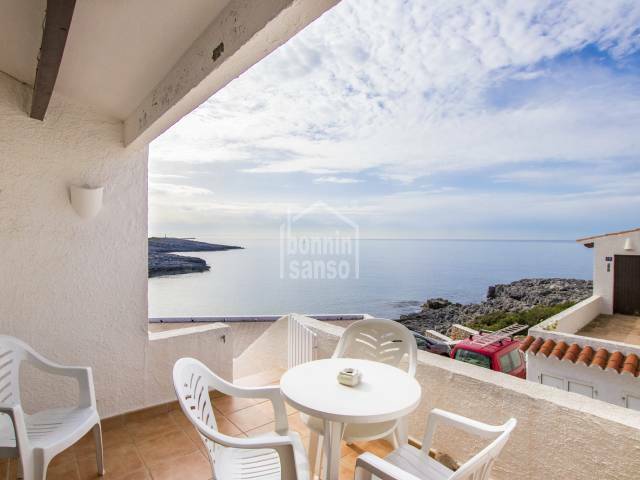 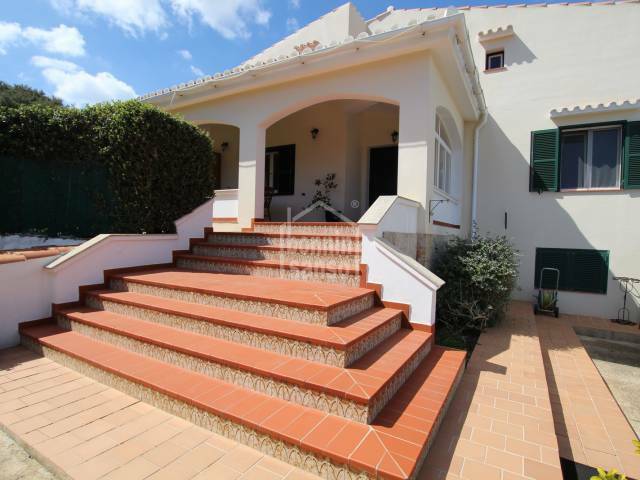 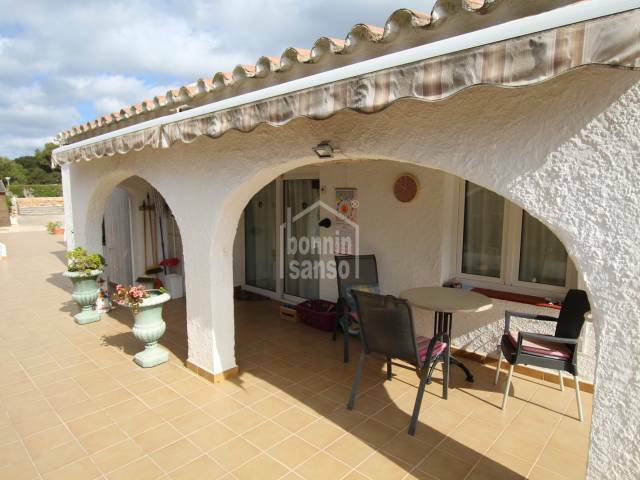 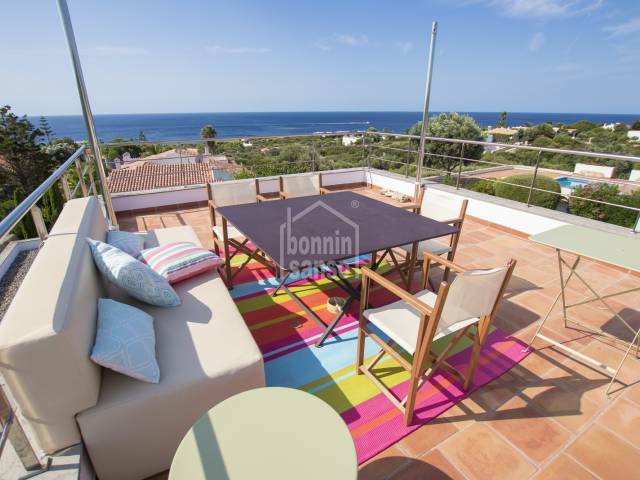 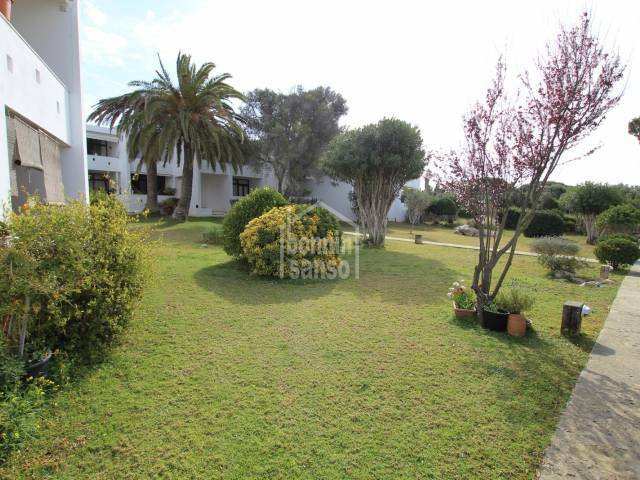 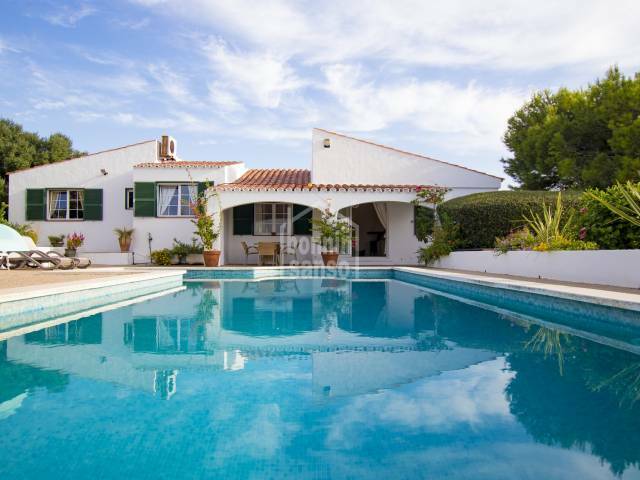 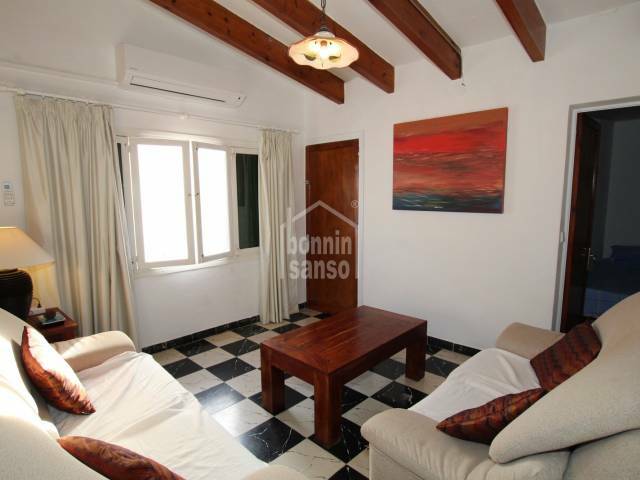 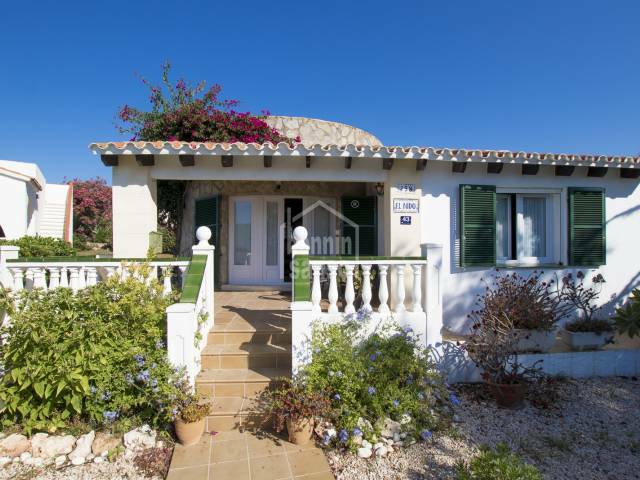 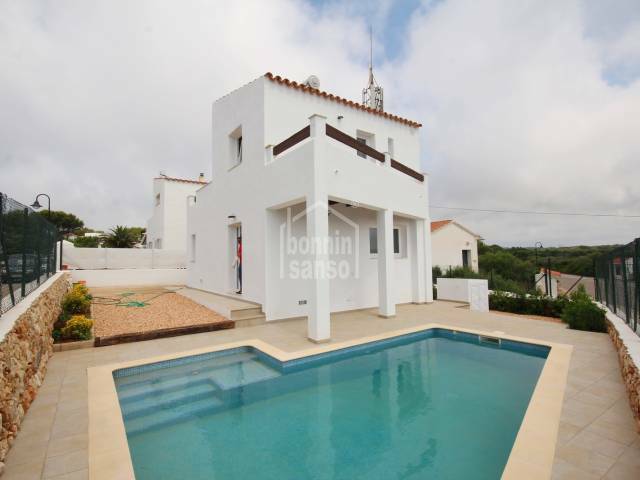 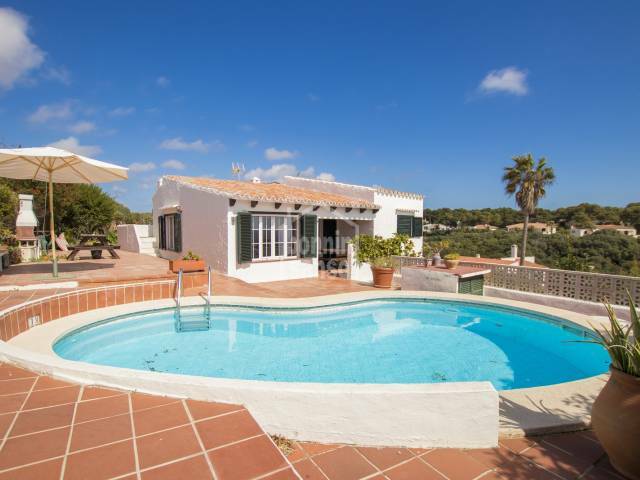 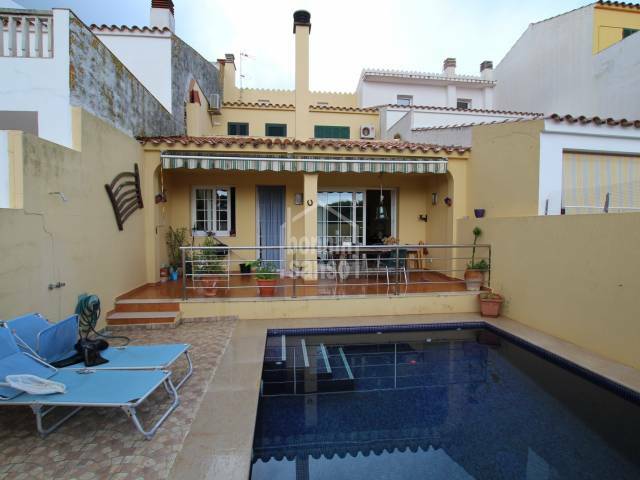 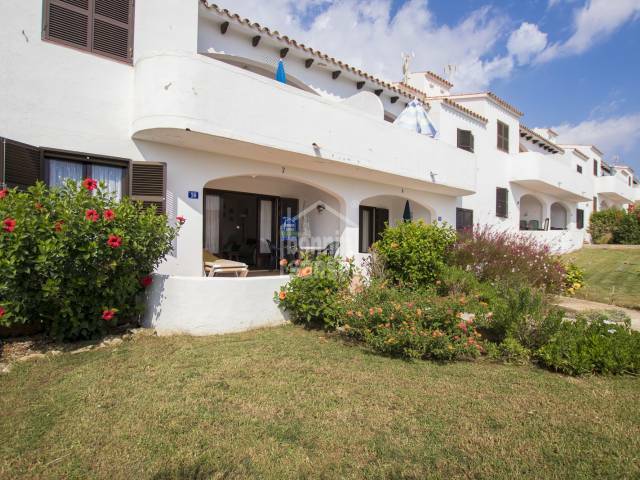 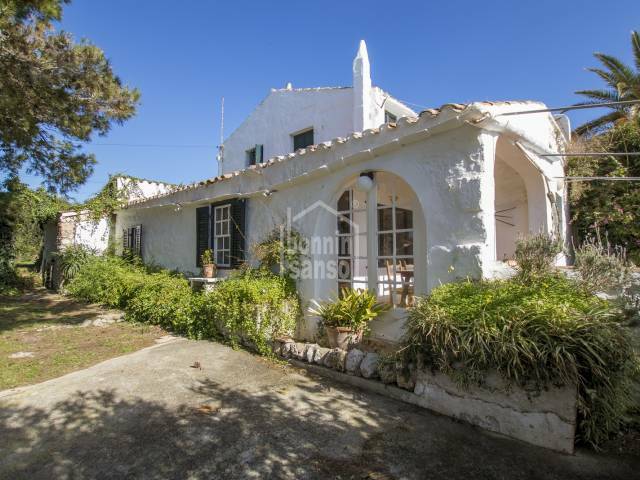 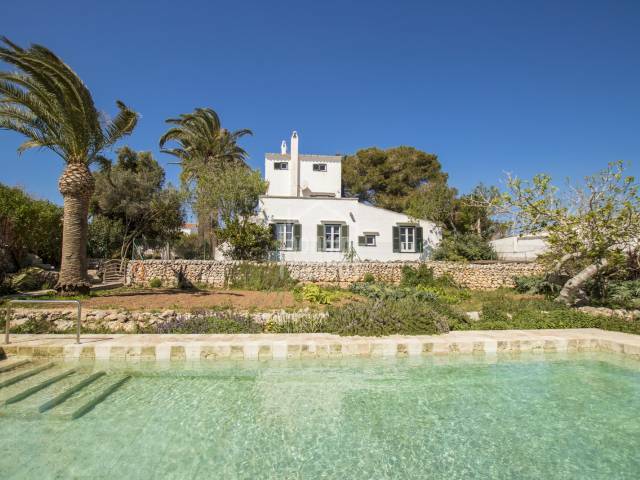 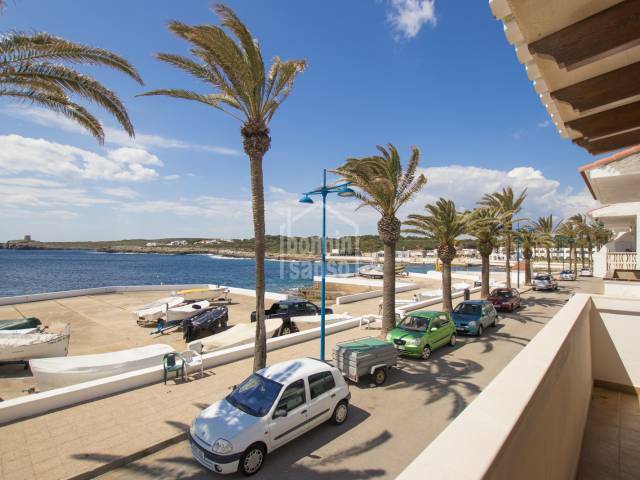 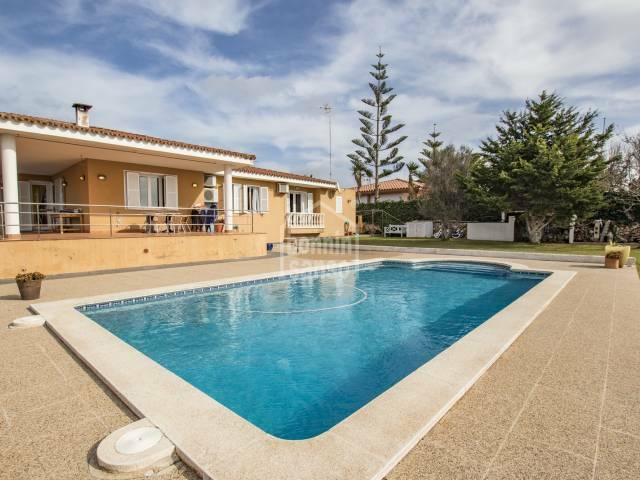 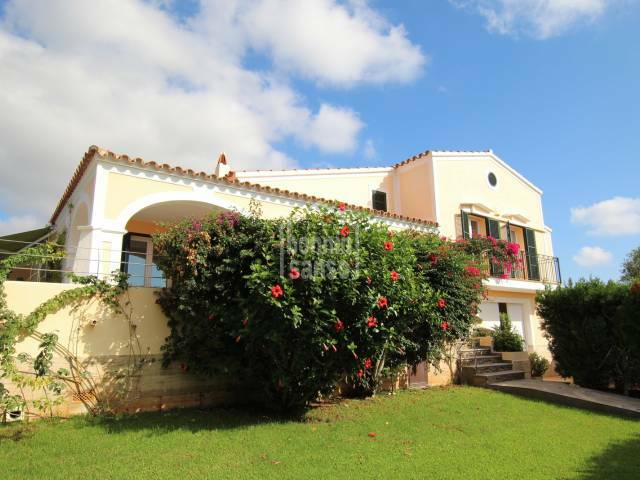 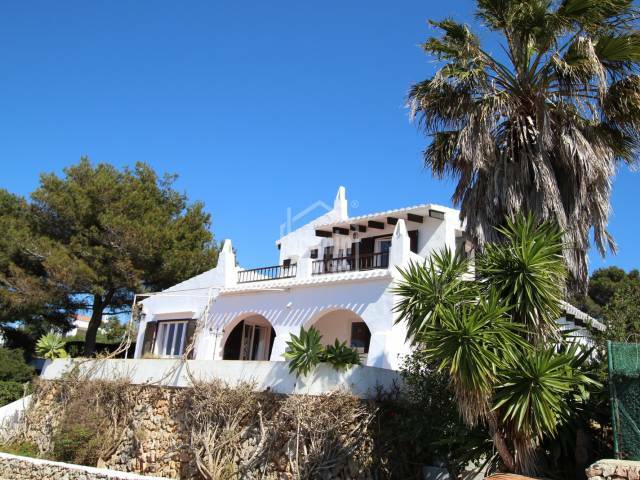 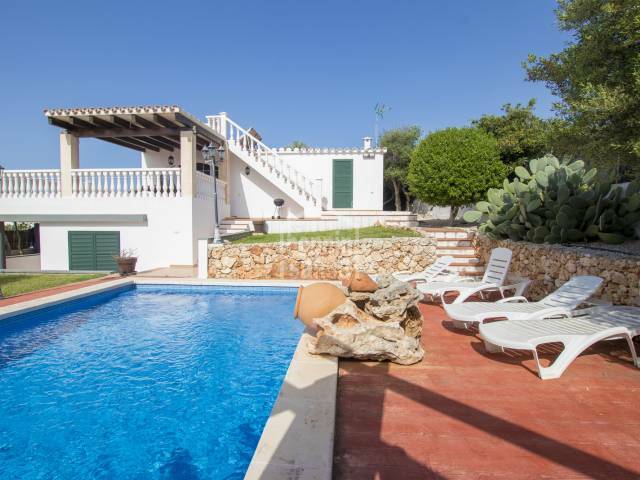 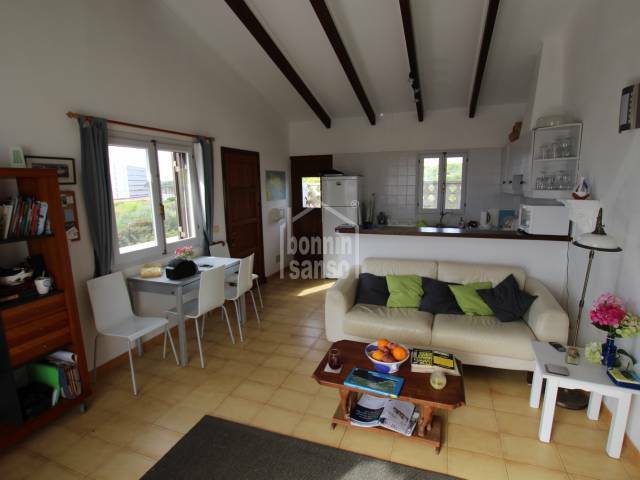 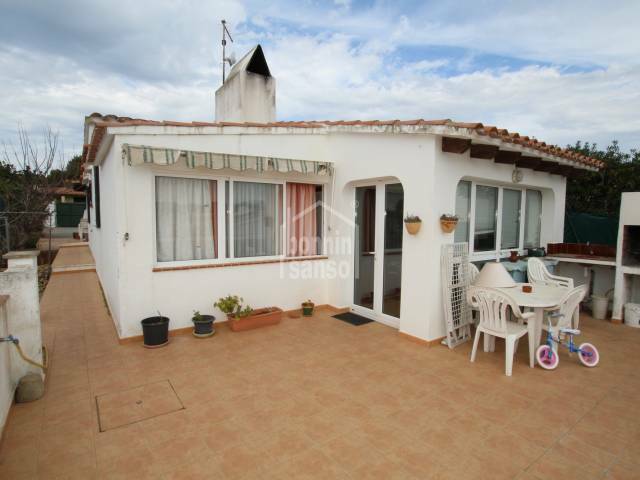 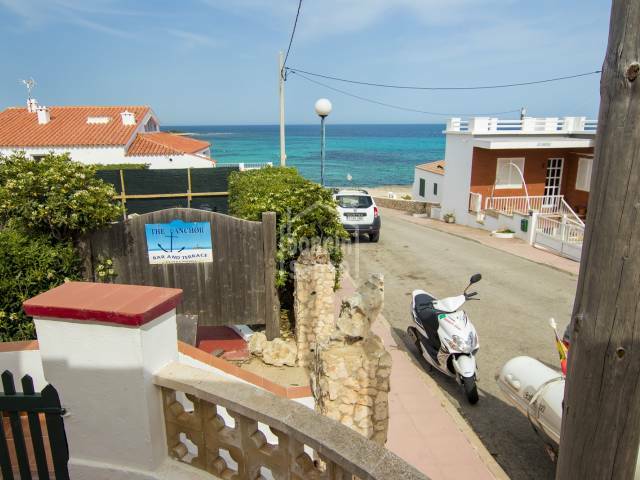 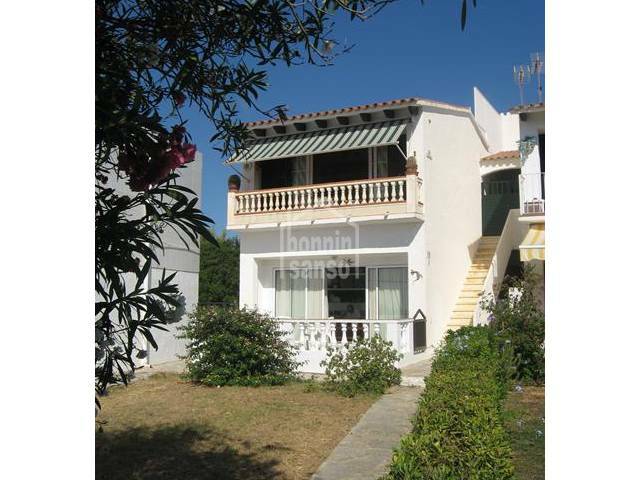 Villa on two floors located in quiet cul-de-sac on grounds with a manicured garden and an outlook over the resort and distant views of the sea. 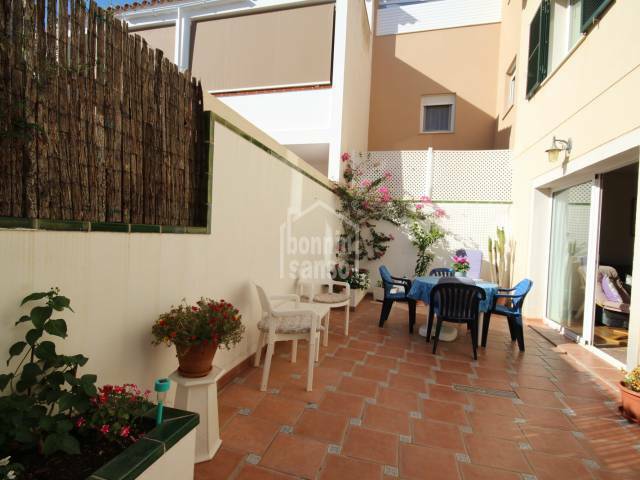 Modern town house with patio and terraces. 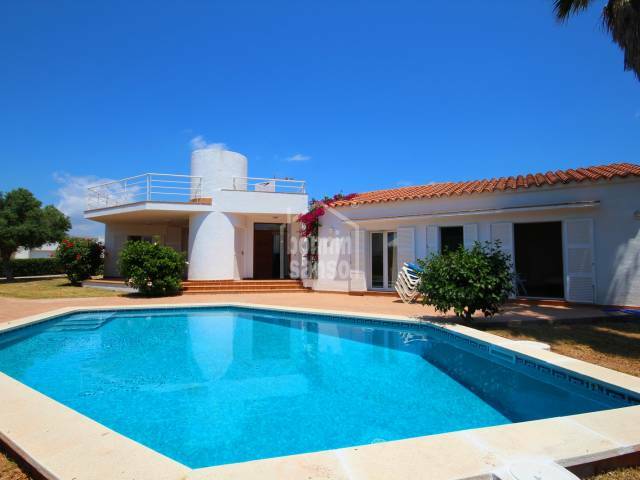 The house was built in 2000 and is on three levels.